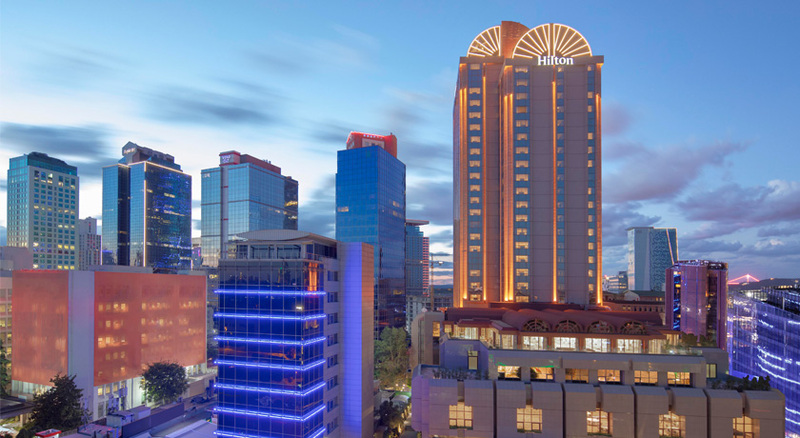 Hilton İstanbul Maslak is the choice of travelers, celebrities and global business leaders who appreciate its style and personalized attention, and superb location. Set in Istanbul's Central Business District, the chic hotel is next to a metro station and a short walk to corporate offices, consulates, high-end shops, and music halls. Enjoy unmatched amenities such as a signature restaurant and bar, a wellness spa, indoor pool, fitness center, squash court, Executive Lounge.